An avid tennis fan – he regularly attends the Canadian Open and has been to several ATP events – Spezza jumped at the chance to play in a recent charity ball hockey game that featured several NHLPA members and seven-time Wimbledon champion Roger Federer. Even better, the 31-year-old veteran of 686 NHL regular season games had Federer as his teammate. Although he openly admits his skating skills are lacking, Federer is a fan of the game. He even showed some offensive flair on a court he’s known more for smashing forehand and backhand winners, netting an impressive goal in the celebrity match. 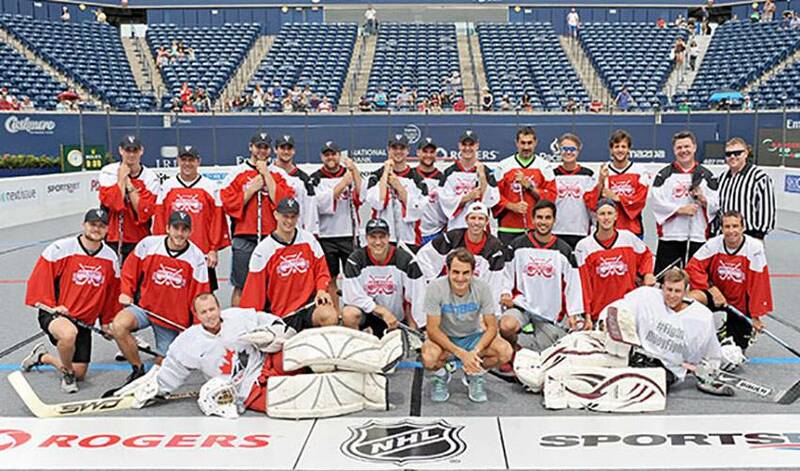 Spezza, known for his solid set-up skills, wasn’t on the court for Federer’s tally. The two even managed to talk a little hockey that night. Spezza has rubbed elbows with other tennis stars as well, including two others that have held the world’s No. 1 ranking. Don’t expect Spezza to be making a push to join Federer on the court any time soon. While he won’t be courting success on the ATP Tour, Spezza’s hoping Dallas comes up aces in 2014-15. And, if the Stars happen to align, Spezza just might net his first Stanley Cup win.